For the low low price of a Jackson, Hamilton and a Lincoln ($35), you can now get the native, full-fledged version of StarOffice 9 for the Mac. Earlier this year, the beta was available--and Derik told us that the price would be $70. 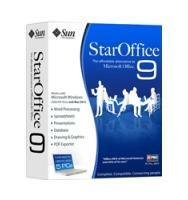 Now that StarOffice is half that much, you'd be a fool not to try it. StarOffice, of course, is based on the same source code as OpenOffice--which is free--but hey, if you still want it, go ahead and grab it here. If you give it a spin, let us know how it goes.